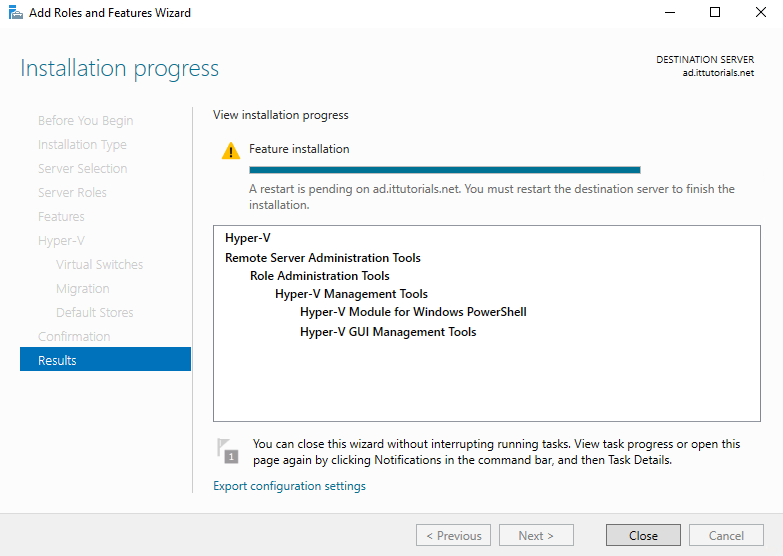 This feature let you run Hyper-V on a virtualized server. In previous Windows versions, you needed to have a physical server to enable the Hyper-V role, in Windows Server 2016 you can enable the role on a server running in a VM. This feature is good if you have a testing environment like I do. If you’ve dealt with Hyper-V snapshots before, you know they can become a pain to deal with sometimes. 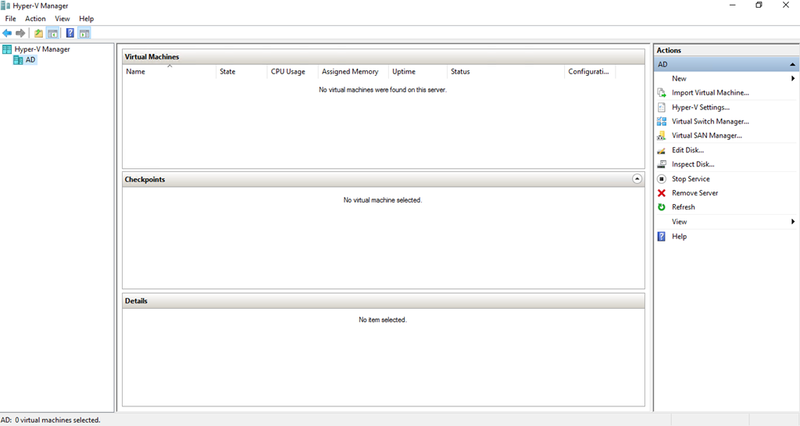 Production snapshots are based on images ( backup files ) instead of a saved state of the VM. 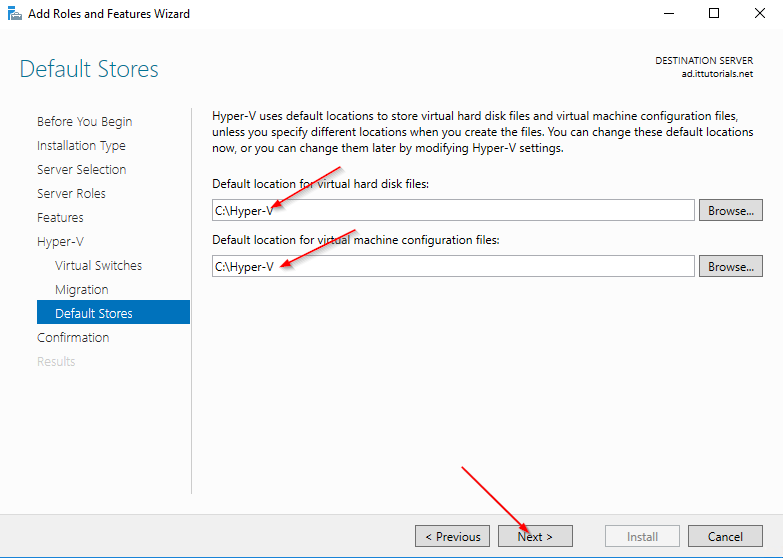 I guess this feature is useful if you want to keep “real” backups of your VMs. The standard snapshot feature is also included if you just want to take a quick snapshot of the VM before doing any changes for example. This features is intended for people needing to run super secure VMs. 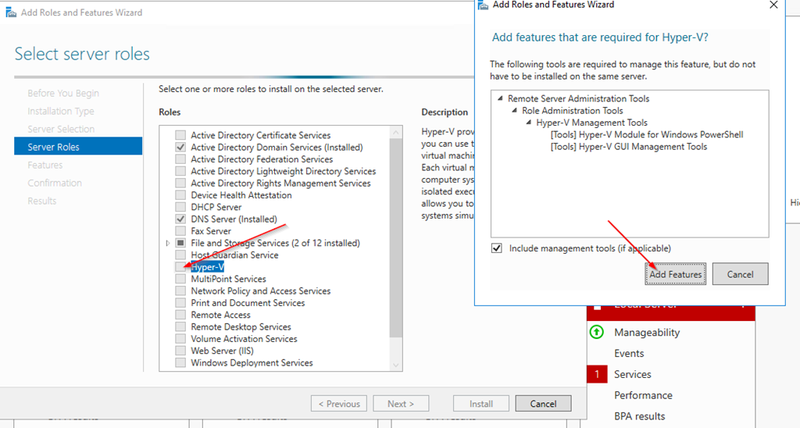 When you turn on this feature in Hyper-V only a few computers configured to have access to the VM can see the screen, hard drives. The VM is pretty much shielded to unauthorized hosts. Windows 2016 gives you a taste of the containerization world! Containers have been around in Unix operating systems for a long time, but they never were popular until now. 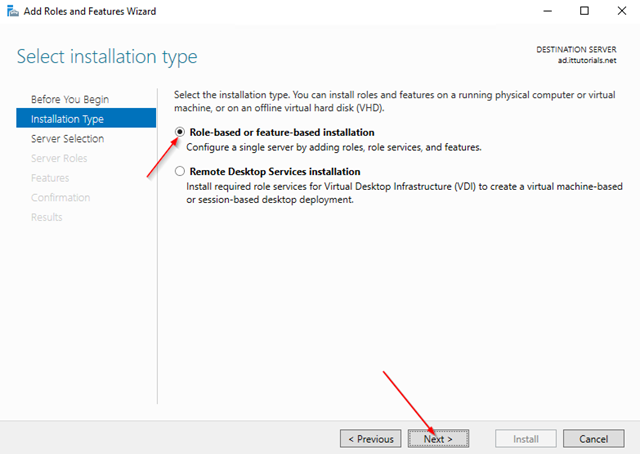 Containers are like VMs but unlike VMs they don’t require hypervisor isolation, using namespaces applications are isolated on the same OS, this process help you save computer resources by not installing an OS every time you need to host a new application. 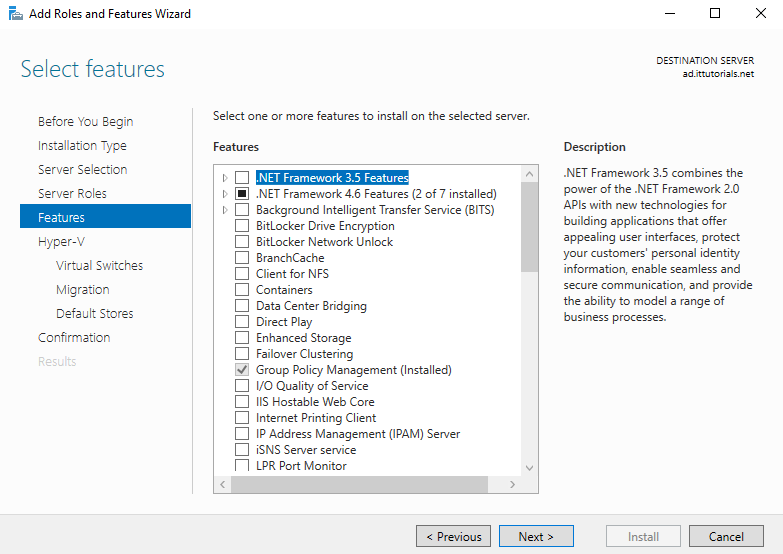 Windows Containers allow many isolated applications to run on one computer system. They’re fast to build and are highly scalable and portable. Two types of container runtime are available, each with a different degree of application isolation. 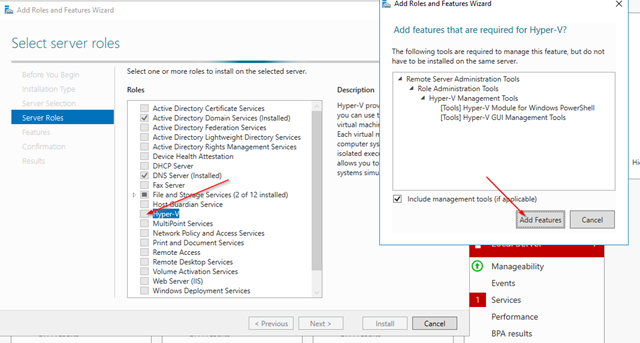 Windows Server Containers use namespace and process isolation. 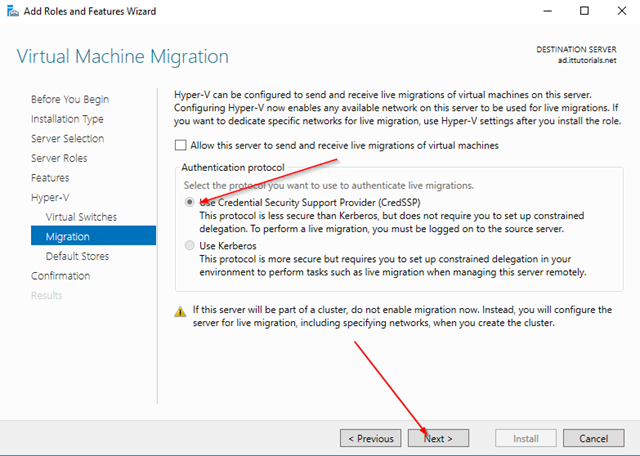 Hyper-V Containers use a light-weight virtual machine for each container. This feature basically allows you to run PowerShell commands on VMs from the host. 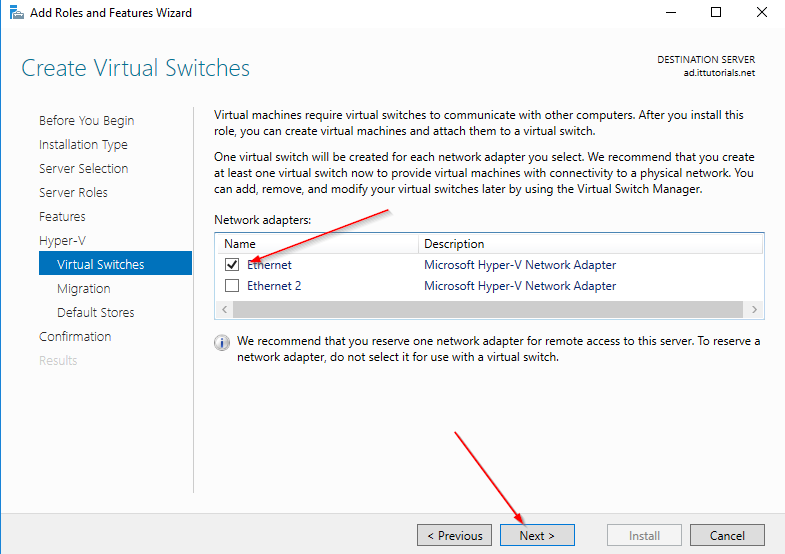 It’s a quicker way to manage your VMs instead using remote desktop or remote PowerShell. 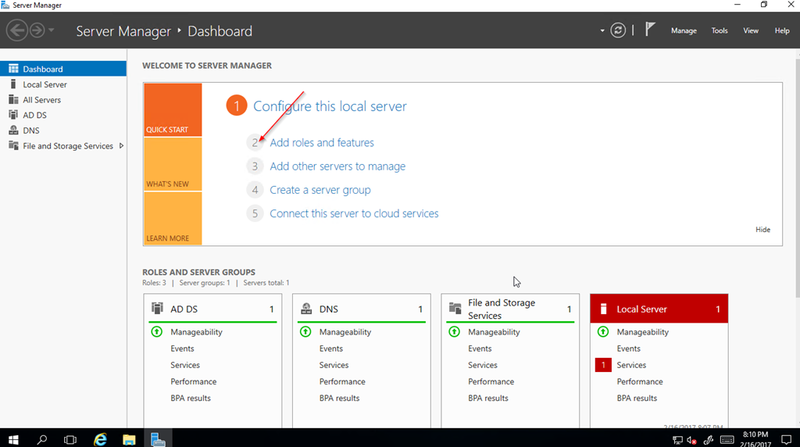 If you are upgrading from Server 2012, then this feature will help you upgrade your cluster without causing any downtime. 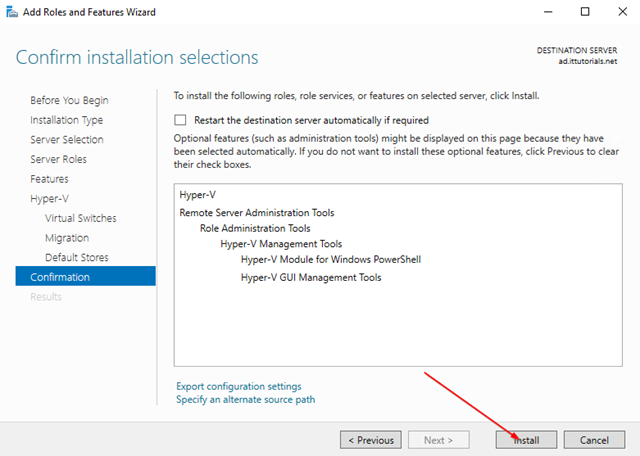 There are a lot more features and improvements on Hyper-V 2016, but these are the features I find most interesting. If you want to play with Hyper-V 2016 this is how you install the server role. 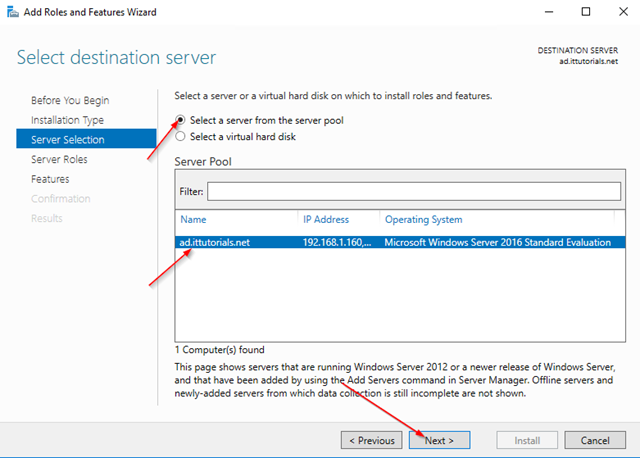 Remember you can do this on Server 2016 even when running on a VM. 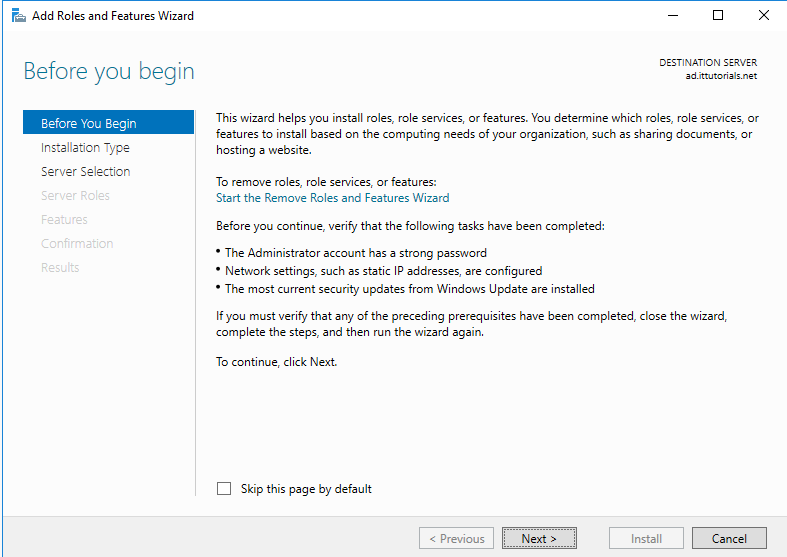 so assuming you have already installed the operating system here is how you install it.